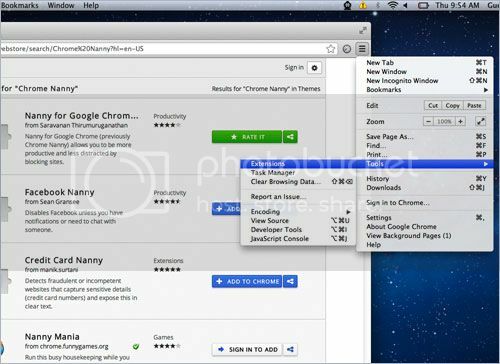 Open Firefox browser, go to “Tools”―”Add-ons”. Click “Restart now” to finalize the installation process. Go to “My Add-ons” and click “Preferences” to load the options. In the “Enable functions” options, check the function options that you want to enable. If you want to set a password for the BlockSite, Check “Enable authentication” and then type a password in the “New password” box. Click “Add” and then type in a website URL. 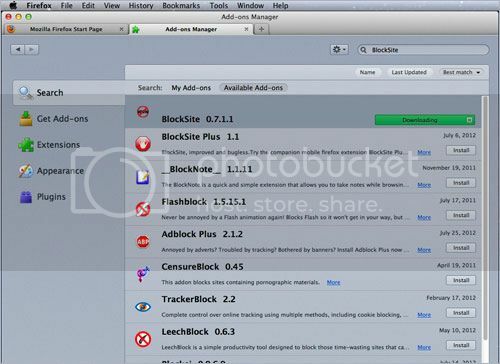 Repeat this process with all websites that you want to block in Firefox. Then click “OK” to save changes. 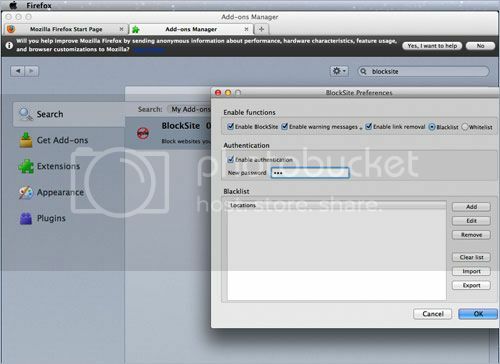 If you set up a password, you will be prompted to enter it every time you try to change the “BlockSite” details. 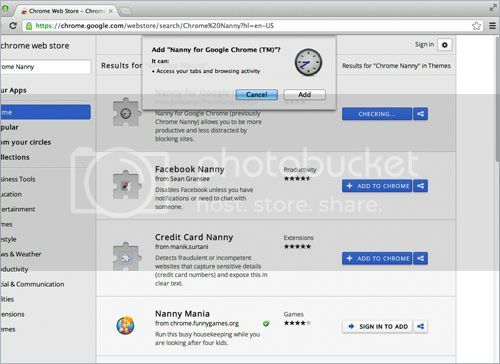 Right click “ADD TO CHROME” button, and click “add” to install. 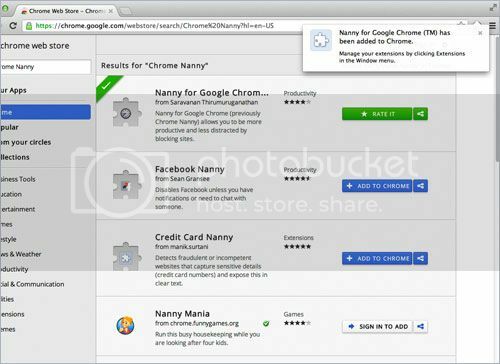 If you install it successfully, a small window will pop up, saying “Nanny for Google Chrome (TM) has been added to Chrome.” You can see it like below. Right click “Customize and control Google Chrome” button which looks like bold “三“. Go to “Tools”―”Extensions”. 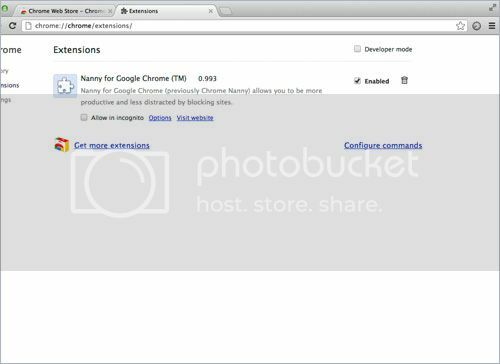 Right click “Extensions” to load the extensions page. 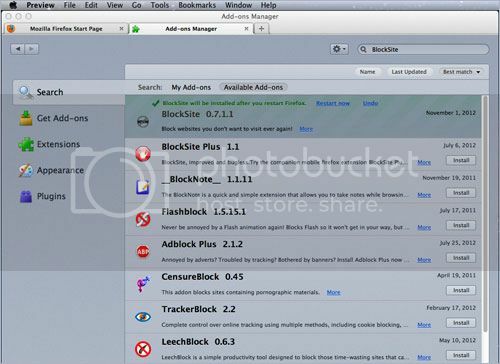 Add the URLs and names of the websites that you want to block in the “Blocked URLs” box, and then click “Save URL”. 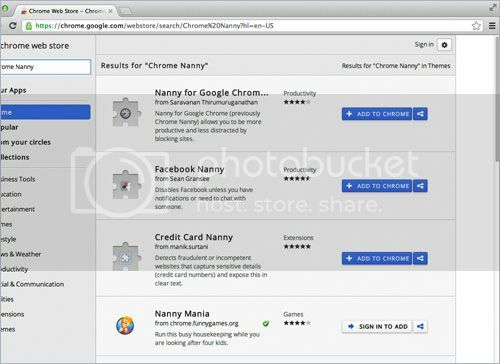 Notice: Browser like FireFox or Google Chrome has its own add-ons or extensions to block sites. However, no one works with Safari or the whole Mac system. Mac OS X has Hosts file just like Windows. 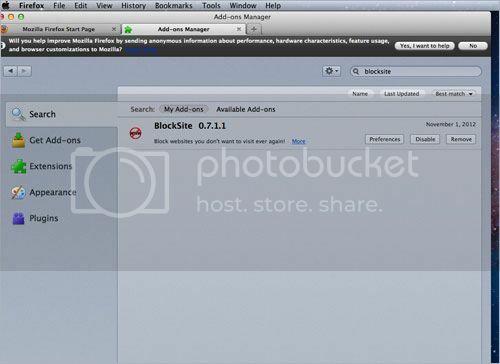 We can also edit Hosts via Terminal on a Mac to block specific websites that you don’t want to be accessed. 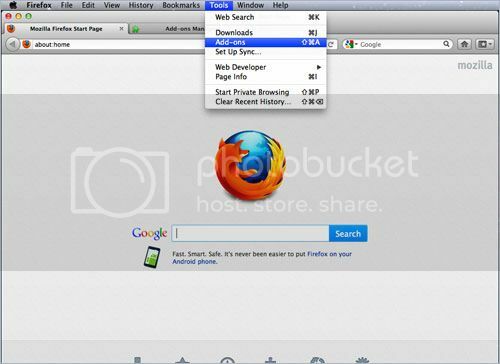 Not only does it work in Safari, but also it works with the whole Mac system. Type “cp /etc/hosts ~/Desktop/hosts.txt” (without the quotes) to copy your current hosts.txt file to the desktop as backup. Use the arrow key to move the block cursor down to the bottom of the file and enter the IP address “127.0.0.1” followed by the domain name you want to block. This tells the computer that the address for that domain is now that IP number 127.0.0.1, which is your local Macintosh, and the browser won’t be able to resolve that domain to a Web page. Press “Ctrl-X” to exit after you have entered all the domains you wish to block. The domains need to be on separate lines. You will be prompted to save. Press “Y” for Yes. 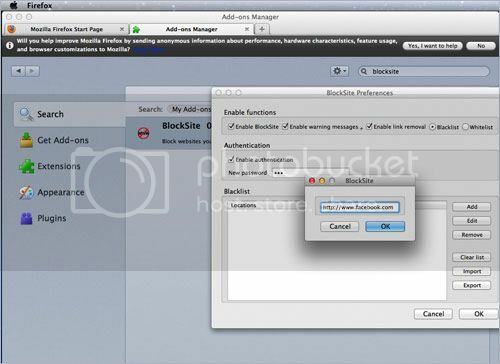 We can block any sites we don’t allow to on Mac by modifying the host file. However, we do not recommend this way if you are not proficient at Mac.